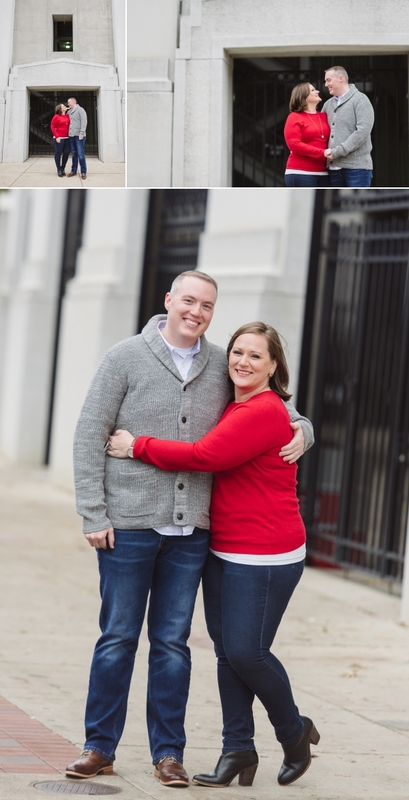 I secretly (or not so secretly) love it when my clients wear bold colors like red to their engagement shoots. There’s something so dynamic about the way it looks in photographs. As Ohio State fans, this worked out perfectly for Kelly and Adam. They met me out on a very cold fall day in front of the OSU stadium. The sky was pretty grey, but their smiles illuminated every frame. After a few shots in front of the Shoe, we traveled to downtown Worthington. Kelly and Adam actually had their very first date at the old bag of nails restaurant so we had to get a few in-front of their storefront. 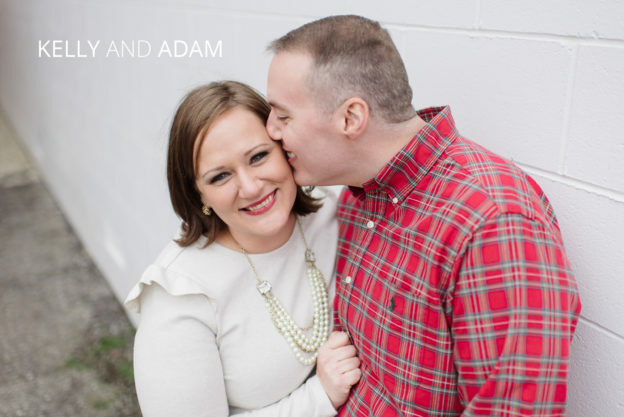 Later in the shoot, Kelly pointed out the spot where they said goodnight on their first date, and how she didn’t know if Adam would kiss her or not. Little did they know that night that they’d be celebrating their engagement with a photo shoot in the same place!! 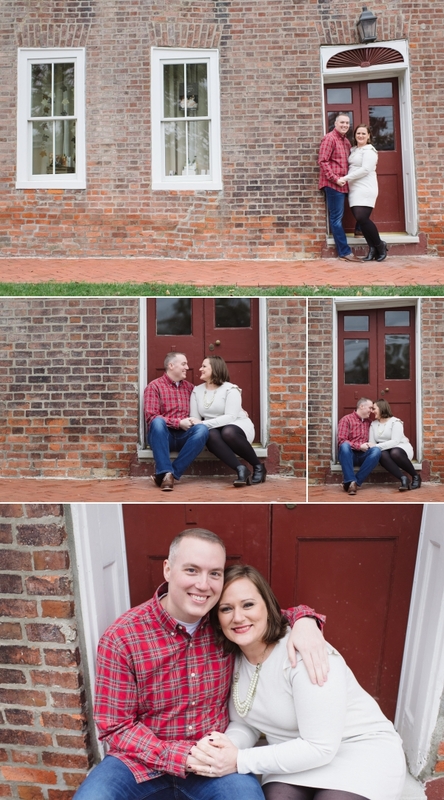 I love that this session brought great memories up for them. It’s always so nice when shooting locations have meaning behind them.